There are many reasons to love the fall months, from the beautiful colors of the leaves to the arrival of Halloween and trick-or-treating. However, the cooler temperatures tend to encourage spiders to seek shelter in our homes, which is likely not the Halloween decorations you had in mind! One of the most common fears in the United States, it is estimated that 3.5% of Americans live with arachnophobia. However, you don’t have to be afraid of these little creepy crawlies to not what to share your home with them. Just as we seek warmth indoors during the fall months, so too do spiders. Preparing for the upcoming winter months, they are in search of shelter, a warm place to call home as the temperatures drop. Therefore, if there are any cracks or openings into your home, they will likely find them. 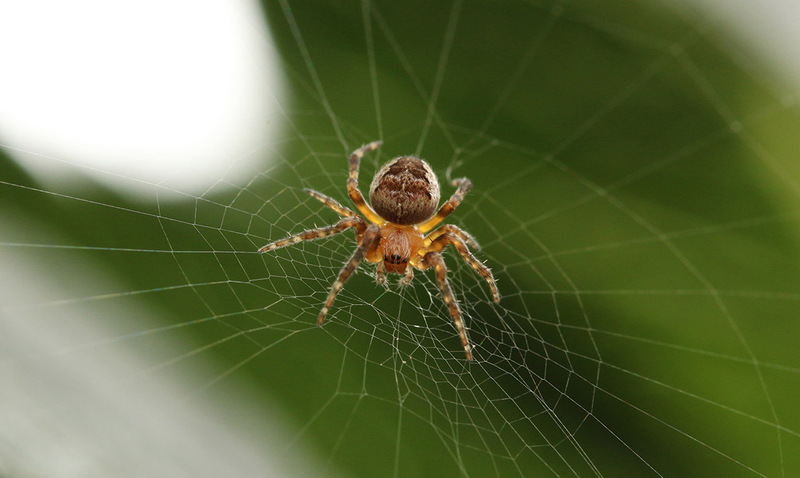 Most spiders in the United States are not poisonous and they don’t do lasting damage to your home, which is why many exterminators refer to them as a ‘nuisance pest’. If you’re like me, you’ve already taken to Google in search of an all-natural solution to ward off these critters. Unfortunately, there is so much information out there and most of it is nothing but smoke and mirrors. In fact, in a small study published in the ‘Journal of Economic Entomology’, 3 of the most common all-natural solutions were explored – lemon oil, peppermint oil, and horse chestnuts better known as conkers. While there are many articles all over the internet boasting about these options, the study found exactly the opposite. Lemon oil was found to be completely useless in deterring spiders, with no effect on them at all, while peppermint oil and conkers both showed limited deterrent capabilities. However, none were the miracle solution that they were made out to be. If natural deterrents aren’t going to work, what options do you have available? There is no guaranteed way to keep spiders out of your home outside of contacting an exterminator and allowing them to spray. However, if you’re hesitant to rely on chemicals, there are some steps that you can take to discourage them from making their way in or getting comfortable. Take some time to walk around your home in search of gaps, cracks, and spaces where spiders are able to get in. These are particularly common around doors and windows. The spiders aren’t, obviously, going to come knocking on your door for access, so sealing off these entry points can keep them outside where they belong. Much like the idea of the moth drawn to the flame, bugs, in general, are drawn to lights. If you leave your porch light on all night, you are actually putting out an invitation for spiders to make their way over, increasing the chances that some will find their way in. Instead, turn off any outdoor lights around your home before going to bed encouraging them to keep moving to the next location. If you do notice spiders either inside your home or around your porch, you can encourage them to keep moving by simply cleaning up any cobwebs the second that you see them. They are seeking a place to call home during these months, so removing the web will show them that this isn’t somewhere they can get comfortable. Instead, they will seek out somewhere where they can remain undisturbed. Cobwebs aren’t the only thing that you should keep cleaned up. Crumbs on your floor, for example, will attract many bugs. Not only will they possible attract spiders directly, but they can also attract small flies, which are a spider’s food source, thus attracting more spiders in a roundabout way. Keeping your space clean and clear of clutter and debris will help to minimize the appearance of spiders in your home.